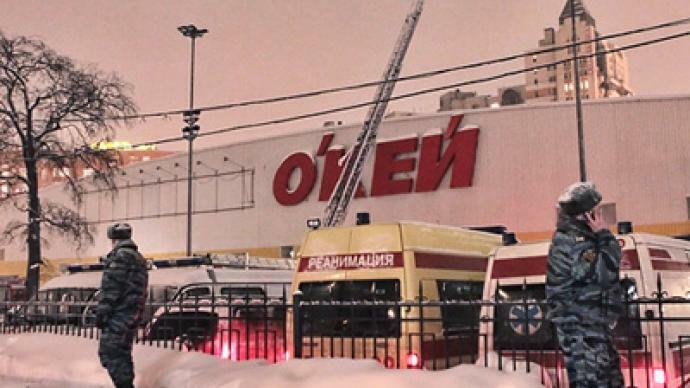 One person, a 35-year-old sales clerk, was killed and 14 injured in a roof collapse at a shopping mall in St. Petersburg. 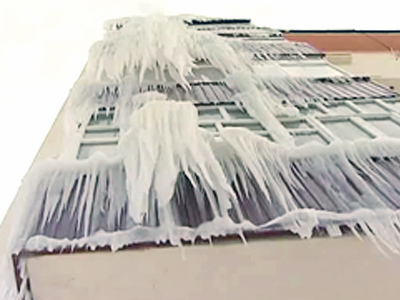 ­Reports say a buildup of snow on the roof may have caused the collapse. Rescuers used dogs to locate people trapped in the debris. Emergency services say all victims have now been recovered from the scene: 11 people have been pulled from under the rubble and ten have been taken to hospital. 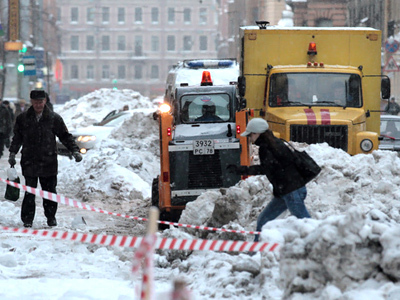 St. Petersburg Governor Valentina Matvienko visited the accident site where she said that all private organizations had been instructed to watch the state of roofs and clean off all snow. 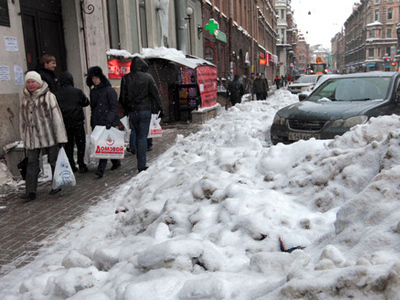 Matvienko demanded that aid be given to the victims and that those responsible for the accident be found. 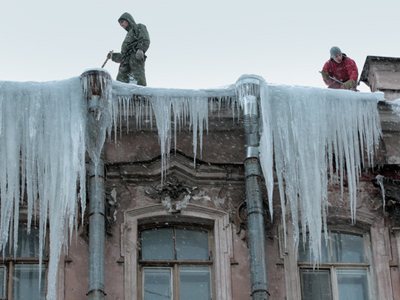 According to a representative of the Russian Investigative Committee quoted by Itar-Tass, a criminal lawsuit has been filed on charges of breaching safety regulations.